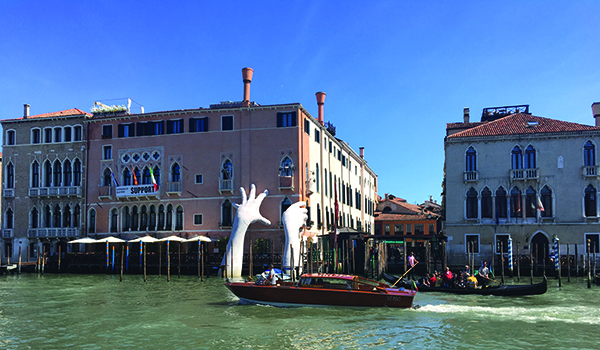 Opposite the Rialto fish market, two giant hands emerge from the waters and touch against the Ca’ Sagredo. Are they bracing the hotel, or reaching up to destroy it? 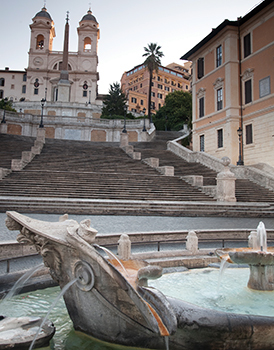 The intervention is the work of contemporary sculptor Lorenzo Quinn (son of the actor Anthony Quinn). Entitled Support, it is meant as a statement on climate change and the effect rising waters are having on the city. The work was commissioned for Biennale Arte 2017 and will remain here until the city-wide art exhibition closes on November the 26th. “I wanted to sculpt what is considered the hardest and most technically challenging part of the human body. The hand holds so much power – the power to love, to hate, to create, to destroy,” explained the artist.